Posted in: 1 Pageant Pages, 2 Shout-out-Looks. Tagged: Bb. 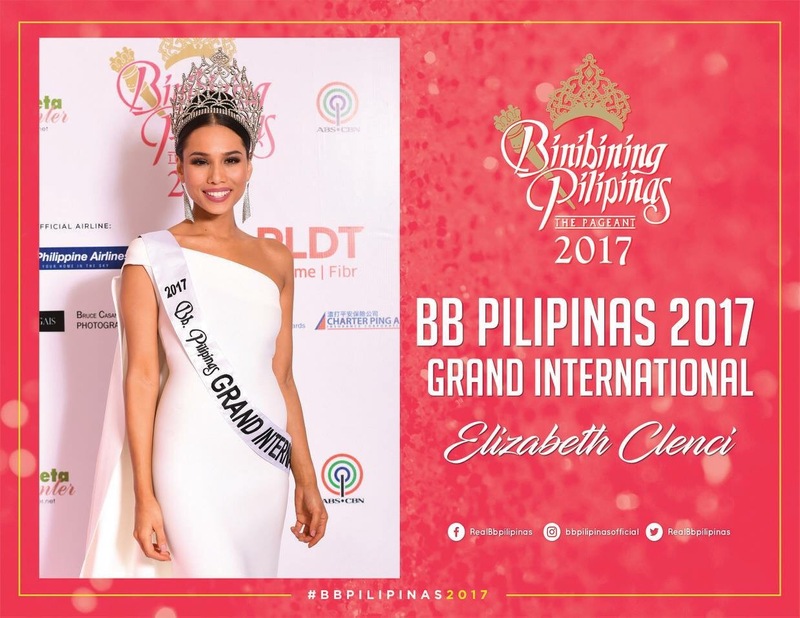 Pilipinas 2017, Chanel Thomas, Charmaine Elima, Elizabeth Clenci, Katatina Rodriguez, Kristel Guelos, Mariel de Leon, Nelda Ibe, Rachel Peters. We now have the winners of Bb. Pilipinas 2017 who were crowned at exactly half past 1am earlier. And everyone is still talking about the results which came out agreeable to a whole lot of pageant watchers and followers. All in all, it was a production that turned out better than the last, save for some minor details that dragged the procceedings inside the Big Dome (like the audience having to watch the entire primer all over again while the deliberations were ongoing and – more importantly – in order to hook up the live announcement of winners to the TV telecast which started more than 30 minutes late from the original 10pm start of airing). 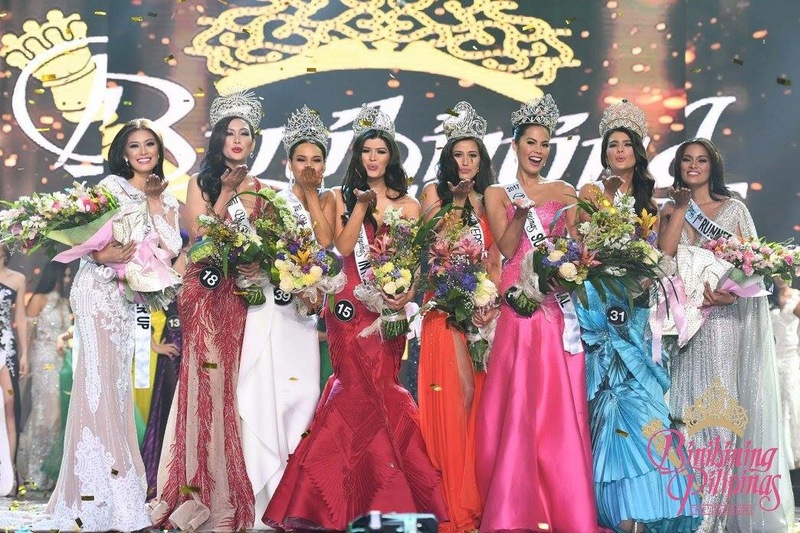 All the six new titleholders deserved their crowns. 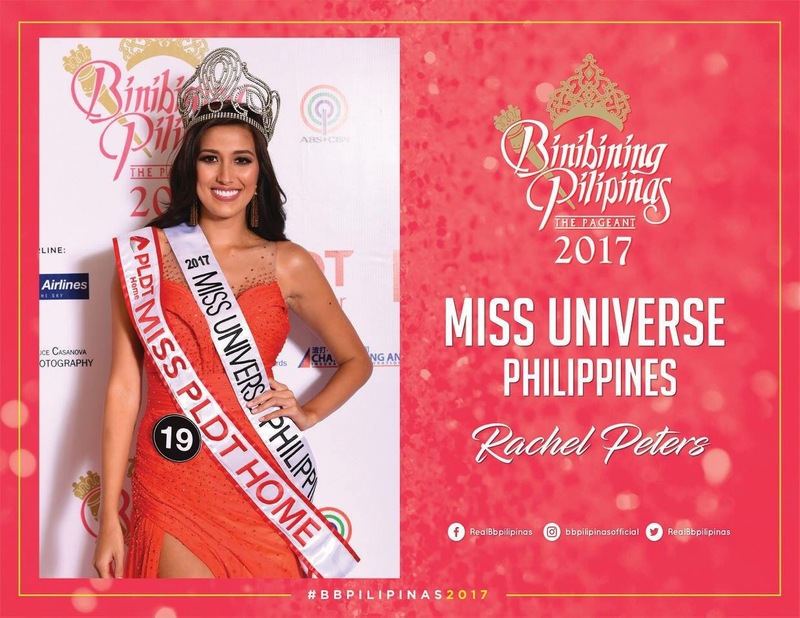 Rachel Peters was in her finest elements all throughout that when she was named Best in Swimsuit, she was practically on the right track for the Miss Universe Philippines title. She handled her Q&A very well and that sealed the deal. 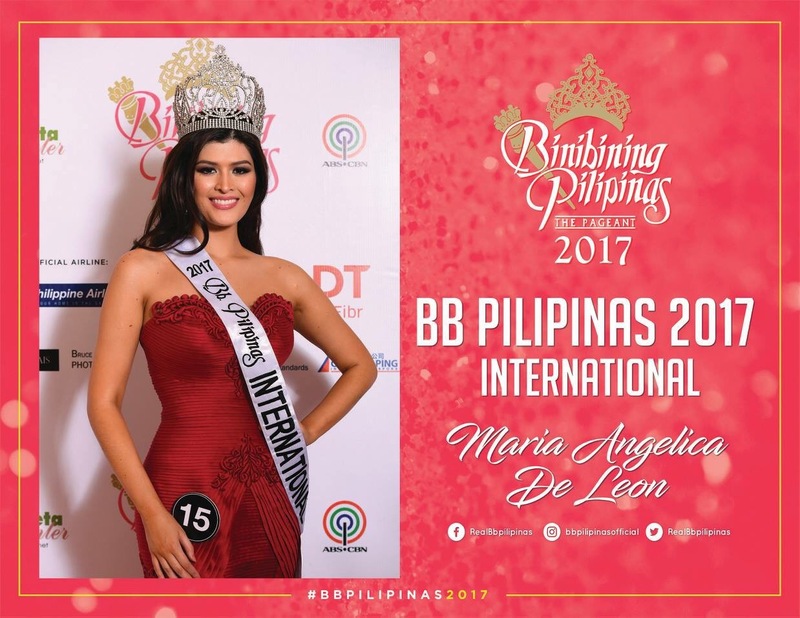 Maria Angelica de Leon was neck-to-neck with Rachel. And the flag-bearers of the two beauty camps really proved their pole positions prior to the finals. She also acquitted herself more than satisfactorily during the Q&A. It must have been during the judges’ deliberations when the proper assignments fell into place. 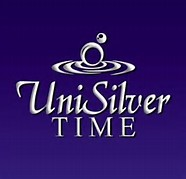 Age factor must have been a consideration in terms of the specifications of both Miss Universe and Miss International, but that is not an issue anymore. And when was the last time a Miss Friendship actually won a Bb. 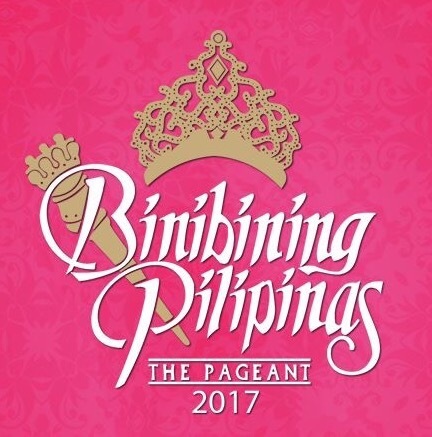 Pilipinas crown? 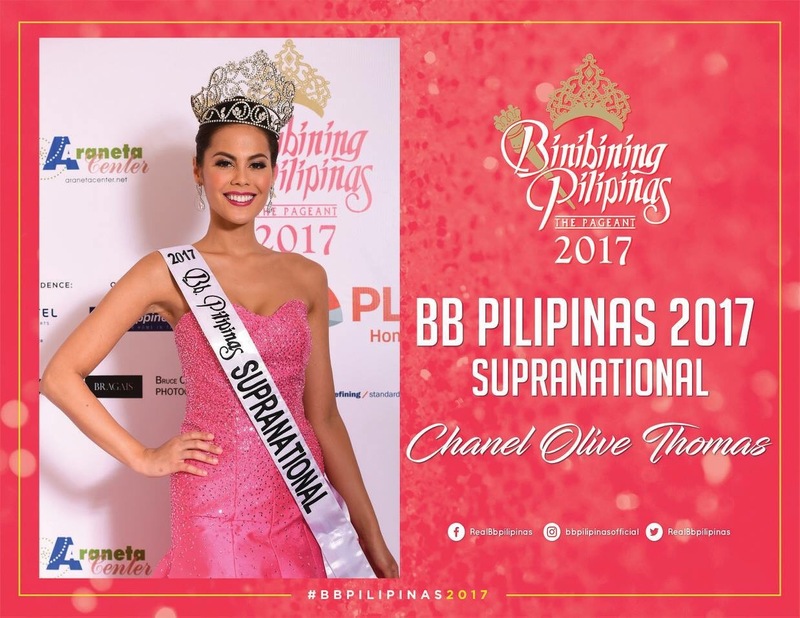 I am so pleased seeing Chanel Olive Thomas getting the Supranational sash. She has this very easy and spontaneous vibe that was clearly appreciated by the judges. She is no cookie cutter beauty as shown by how she handled both her swimsuit and evening gown presentations. Elizabeth Clenci was a dark horse. 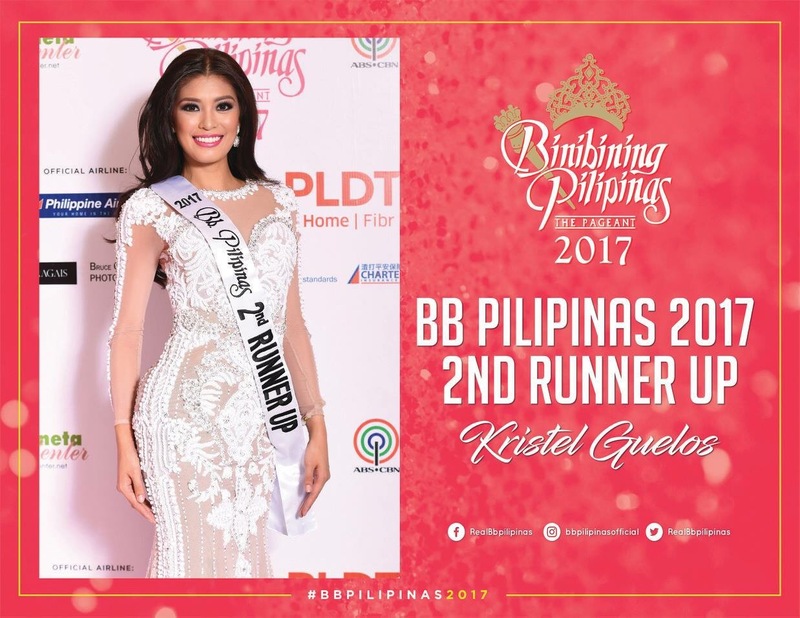 Her inclusion in the Top 15 was no longer a surprise, especially after coming out in one of the most resplendent evening gowns of the night. And during the Q&A, she was just being herself, relaxed and thinking on her feet. Nawatt Itsaragrisil (who was in the audience) must have given his thumbs up to this lady from Mandaue. 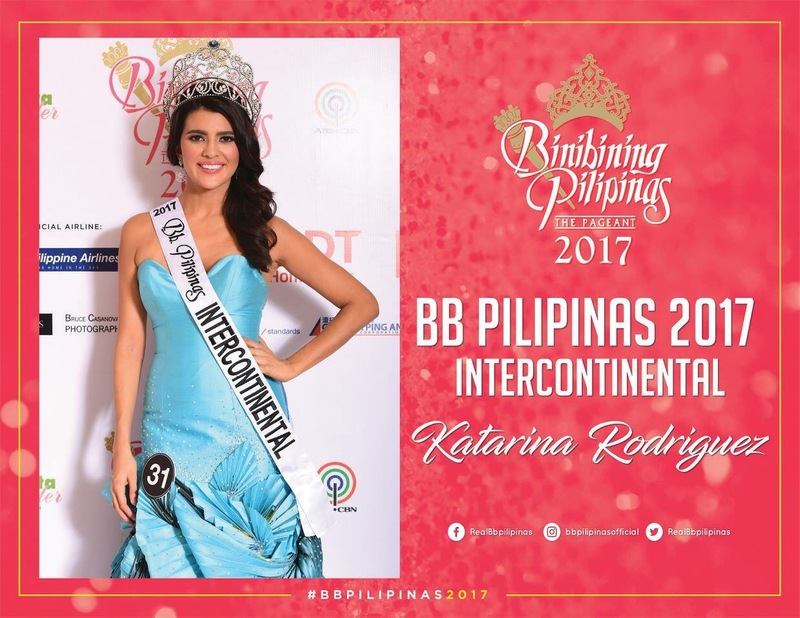 Katarina Rodriguez proved that a beautiful face can always go along with innate smarts. A title was already in store for her right after giving a convincing reply to the question asked of her by the judge. 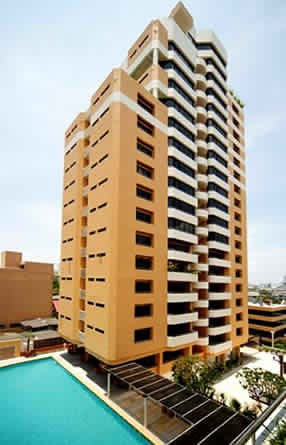 She may still need more polishing, but that’s something that can be managed within the next 4-5 months. 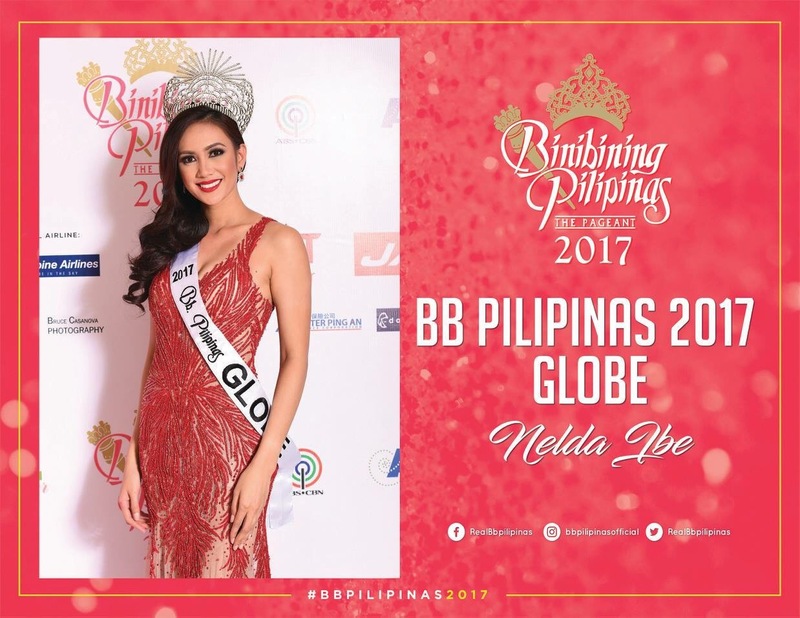 Truthfully, Nelda Ibe was destined for a title higher than Globe. She is really a favorite by both BPCI and ABS-CBN. But nerves prevented her from fluidly expressing thoughts during the Q&A. She was able to cross over though. 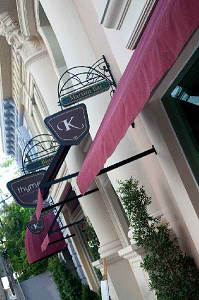 But that served to pave the way for both Clenci and Rodriguez to catch up and nose her out in the final rankings. 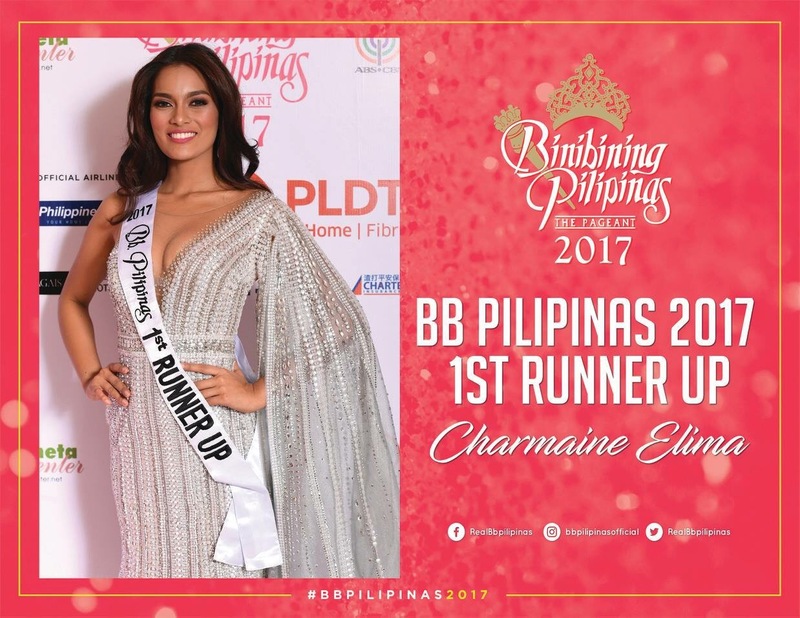 Charmaine Elima’s 1st Runner-Up placement did not sit well with her supporters. But the Q&A was proof that she can still go for a third try in the nationals by further improving on the way she expresses herself to the public. I bet she will do just that after processing her entire performance last night. Lastly, the surprise performer of the night – Kristel Guelos – may not have figured out on most everyone’s list. But it clearly appears that she was also favored by BPCI. I believe that her 2nd Runner-Up position could have been given to Christa Borja who was so good during the Q&A, but that’s how the panel of judges see it fit to pan out in the end.